A beautiful Christmas to you all! This entry was posted on December 19, 2018 by stockdalewolfe. 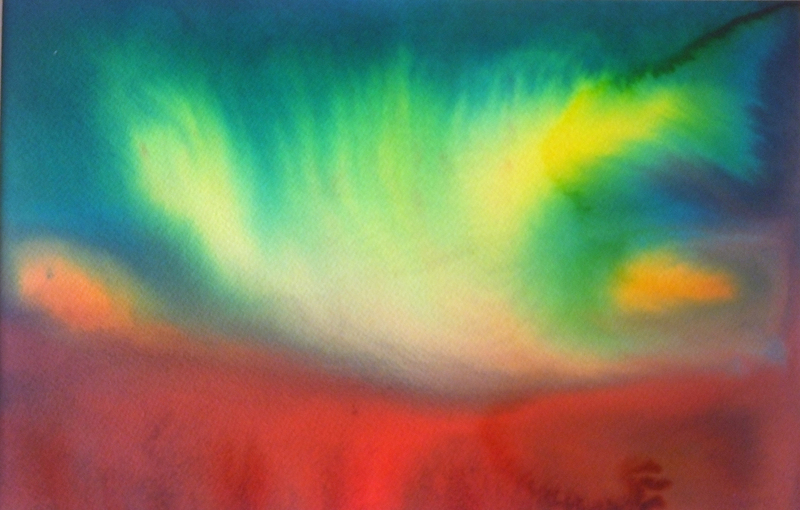 It was filed under Abstract Paintings, Abstract watercolors, Bipolar art, Christmas and Hanukkah, Landscape paintings, Paintings, Spirituality, Uncategorized, Watercolor paintings, Wet on wet watercolor technique and was tagged with Abstract landscape, Bipolar Art, Christmas, Christmas card, Color, Consiousness, Liquid watercolors, Water, Water color painting. Good do see you again – hope you are fine. Merry Christmas to you also, Ellen! I’m so glad I’ve returned to your site. The work you’re doing is breath-taking. The beauty of your work remains fresh. I got your comment on Instagram. Thanks for reaching out. No need to get involved in social media platforms that don’t feel natural to you. Do what you enjoy.